Sundays: 11:00 am, Thursdays: 7:00 pm. A brand new series on legal ethics, contrasting Jewish wisdom and American law. Modern-day societies imprison people at a rate unparalleled in past times. Is this okay? Is there something we can do about it? Can man have the authority to sentence another man to death? Millions of Americans that have been released from prison seek to rejoin society, but many are stymied by the public availability of their criminal records. Is this necessary? Six week course, beginning the week of February 3. Classes taught by Rabbi Shneur Silberberg with with guest presentations by prominent members of the legal community (details below). (6) Sundays, beginning February 3, 11:00 am at Bais Chabad of West Bloomfield (complimentary breakfast served) - 5595 West Maple Rd, West Bloomfield, MI 48322. (6) Thursdays, beginning February 7, 7:00 pm at Hillel Day School - 32200 Middlebelt Rd, Farmington Hills, MI 48334. Bring a friend and receive a 15% discount. Contact us regarding scholarships. Timothy Shepherd, Crime Prevention Officer with the West Bloomfield Police Department. Steve, Former inmate who spent 20 years (of a life sentence) behind bars before his recent release. 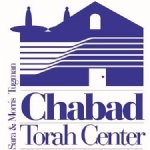 Course offered in partnership between Tugman Bais Chabad of WB, JCC's Fed-Ed, The Jewish Bar Association of Michigan (JBAM) and the Cohn Haddow Center for Judaic Studies. This series is sponsored by the Kosins Family Foundation. Crime and Consequence is for people who care deeply about humanity, are enraged at injustice, are fascinated by difficult-to-solve real-life scenarios, and are committed to seeing a system that is just and fair to all. It is also a CLE accredited course. You are welcome to alternate locations to best fit your schedule, you are also welcome to try out the first class and then decide on taking the rest of the series.